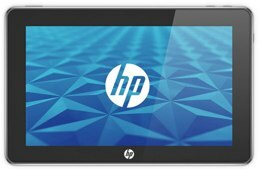 After delays and rumours of the project being canceled, HP have announced the launch of their Slate 500 tablet mobile device to rival bot Apple’s iPad and the Blackberry playbook. Heralded as a being able to perform exactly as a Windows based PC, the Slate 500 will be available in no less than 8 versions. It will also have a USB port which the iPad is currently lacking. Aimed at the business user, the Slate 500 will retail at $799. This surely reinforces the view that the tablet will be the dominant platform for accessing the internet in the future, but who will win out in the end?